When getting rid of old computer equipment, “free” recycling sounds like a heck of a deal right? Unfortunately, as with most “free” offers, there’s usually a catch. It may not be obvious to the employee who is tasked with clearing out the backroom packed with electronic “junk”, or making sure the old computers are removed when a facility closes or an office moves, but making the wrong choice may result in a huge risk to your organization. Without proper knowledge of how to securely handle data that may still remain on those devices, this can turn into a scary situation quickly. If the choice is made to go with the highest bidder who offers free recycling or pays upfront to take away your electronics, your quick fix of clearing storage space may have just turned into a huge problem. Often times, brokers who offer money for all of your old equipment are not properly handling the equipment on the disposal side. They may strip out all of the valuable materials to make some fast cash, dumping any devices or parts that can’t be resold. This is a problem. First, there’s the data you may have just handed over, which is worth much more than a small processing fee. Even if a device is non-functioning or broken, the data can still be accessed. 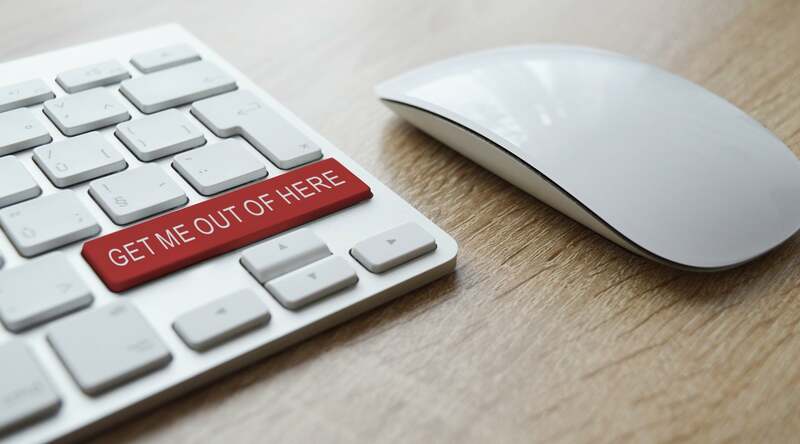 Many resellers don’t take the necessary precautions to delete that data, which makes it an easy target for identity theft or data breaches. In a 2017 survey, the National Association for Information Destruction (NAID) looked at 258 mobile devices, tablets and computer drives from devices resold in “regular commerce channels” like Amazon, eBay, and secondhand stores. Using very basic measures to try to extract data, they found that 40% of devices contained personally identifiable information including tax details, usernames, passwords, company and personal data. In another study, researchers were able to recover personal information from 65% of 60 secondhand drives that had previously belonged to healthcare facilities. Data included “very sensitive health information on a large number of people”. Your information is up for grabs if you do not correctly destroy the data in accordance with NIST standards, either using in-house employee time or by using a certified vendor who can verify their shredding or wiping methods and provide you with proof of destruction. There’s also the point to be made for any equipment or parts that aren’t valuable. If they aren’t being resold, they may be handled like trash and get dumped illegally in a landfill, shipped overseas where children break them apart, or get tossed in a lake like this Minnesota college unfortunately found out the hard way. Do you know who is held responsible for cleanup costs or any resulting data breaches? The original owner. Even if the generator sent it to a “recycler” for disposal, they are liable for what ultimately happens to that computer equipment and data. Without certified processes or clear verification of what happens to all material (not just the valuable stuff), you can’t be certain where your equipment will end up. Always look for a certified vendor listed on the R2 or e-Stewards websites to make sure they are not just claiming they are certified to get your equipment, unfortunately this happens so much that SERI has created a webpage dedicated to listing companies who are NOT R2 certified who may claim they are. Reputable companies who properly handle end of life electronics usually charge a fee, whether that’s for all equipment or just for devices that require proper handling. That fee covers employee pay, health and safety measures, industry standards, certifications, and proper processing procedures. If you’re not paying for these services, it’s safe to assume you’re not receiving them. Many R2 or e-Stewards certified electronics recyclers also offer resale services where they will resell your equipment and share the profit with you to offset or completely cover your initial processing fee. Although it’s not technically “free”, you gain money back in the end. If you find a company who offers this service, make sure they have experience reselling equipment to get you the highest value back possible. If you pay for the service, it will pay for itself in the end. SEAM provides certified IT asset disposition (ITAD), electronics recycling, and equipment remarketing for all types of organizations in South Dakota, North Dakota and Nebraska regions. Protect your company, your customers and your community by recycling electronics with a certified vendor like SEAM – Contact us for a quote today.